Sublimated feelings and emotions are what people enjoy in beautiful days of their honeymoon. Which destinations you will select to send your love to your lover to have the most wonderful holiday of your whole life? With vibrant colors, natural charm, tasty food and inspiring scenery, Vietnam has a lot of honeymoon tours which will bring couples meaningful and unforgettable experiences. Here’re 10 best places for honeymoon in Vietnam (Việt Nam). Check out now! 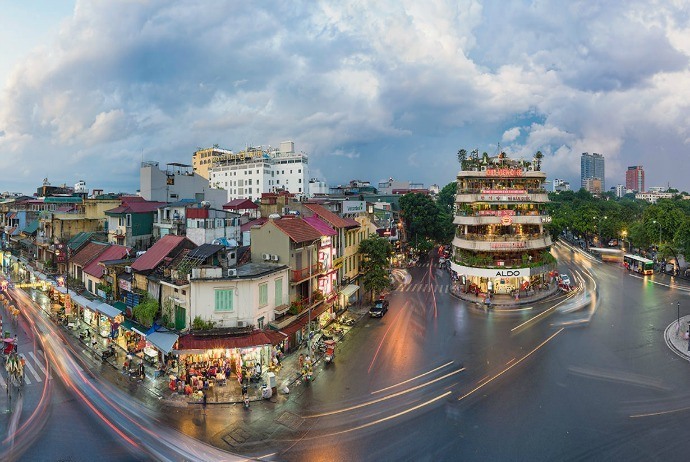 The capital Hanoi is one of best places for honeymoon in Vietnam. You will be surprised at this idea and wonder why couples should spend their unique honeymoon in Hanoi, right? There is no majestic mountain, blue ocean, warmth of fresh water from the hot spring… yet Hanoi has something private – specialty – which cannot found be anywhere. Just simply holding hands walking on bustling but ancient streets of Hanoi, particularly in autumn days, and enjoying the fragrance of Milk flowers in the air could bring you to unique memory and experiences. Spend your honeymoon in Hanoi to understand why Hanoi Autumn is romantic and popular. Despite Hanoi has various hotels, couples should select a resort far from the city center as these resorts will have enough quiet space along with nice rooms for your unforgettable holiday. Another suggestion when it comes to best places for honeymoon in Vietnam is Sapa, the mountainous town which is always beautiful year round. Sapa has dreaming, majestic and romantic beauty. 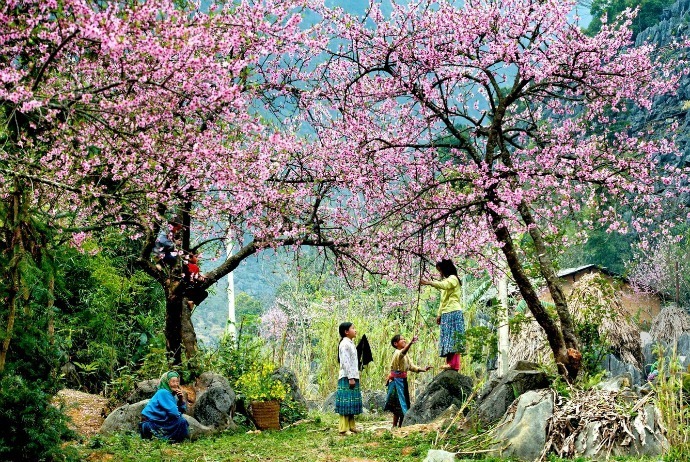 By spending your honeymoon tour in this town, you will not only have an opportunity to enjoy the fresh air of an area of Vietnam’s northwest, but also contemplate many scenic views, such as the old French villas, Silver waterfall which is 100 meters in height, the “Heaven Gate” – “Cloud Yard” and learn the daily life of H’mong people in Cat Cat (Cát Cát) village. I bet that the images of Sapa town engulfed in fog will impress your couple even a long time afterwards. The price of hotels in Sapa is not expensive, but in order to enjoy you full honeymoon in Vietnam, you should select the hotels with 3 or 4 stars. 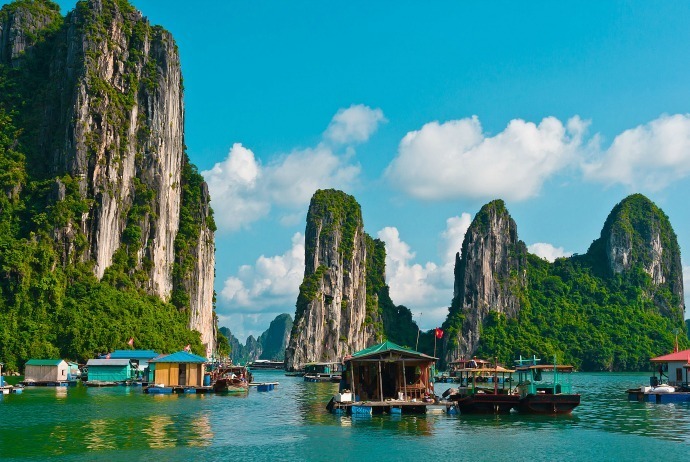 For anyone who loves traveling in all over the world, Ha Long Bay is not a strange name. Vietnamese people are really proud of that Halong Bay is reckoned as one of seven the new world wonders for its wonderful landscapes as well as geographic values by worldwide voters in 2012. The beauty of Halong Bay is at the sea bathing, but the feeling when sailing on a luxury cruise ship on the bay, making your honeymoon in Vietnam full of exciting and funny memories. Watching the sun rise over the bay and having dinner with your special one on the boat or watching the fresh and green water, hidden and undulating islands will bring to you two romantic feelings. Halong Bay is a main tourism city. Thus, it is easy to book a hotel there. Nevertheless, you should consider booking hotel at Tuan Chau (Tuần Châu), Bai Chay (Bãi Cháy) or in the centre area of Halong City. Halong Bay, one of the most popular attractions in Vietnam, also a UNESCO World Heritage, is both magnificent and mystical, which is an unbelievable feat of the Mother Nature that nearly never fails to impress. It is not the cliffs themselves making Halong Bay unique, but their sheer number. A enormous bay, which is dotted with over 2,000 mostly uninhabited limestone cliffs, has breathtaking scenery which is similar to that of that of Guilin of China, Vang Vieng in Laos, and the Andaman coast belonged to Thailand. One of the most fascinating cultural points of Halong Bay is floating fishing villages in which fishermen’s houses are set atop barges year around, and the inhabitants cultivate and catch fish throughout. Cruising is always the most popular sport activity here. Imagine that your couple could stand side by side on a luxurious yacht, contemplating magical limestone grottoes at gorgeous dawn or nightfall. How amazing it is! Some brand names of the cruise for you to select from are Costar Crociere, Star Cruises, Nautica, Seaborn, Oceania Cruises, Aurora, Legend of the sea and Azmara, and Sun Princess. These are brands with many years of experience in serving such type of traveling so they could bring to you a premier honeymoon holiday, in particular, and tourist packages, in general. Swimming and scuba diving are other best choices to choose from, helping you truly enjoy the blue, clear sea and great diversifying underwater world there by your own hands and eyes. There are hundreds of amazing types of marine animal as well as plant that will definitely make you unforgettable about Halong, in particular, and Vietnam, in general. Or not, if you two would like to discover the romantic and beautiful sightseeing on the beach by yourself at such private atmosphere, then cycling is a not bad idea. In terms of accommodation, you can find various hotels in Halong, from 3-star to 5-star in Halong with lots of great service, such as Asean Halong Hotel and Halong Plaza Hotel. 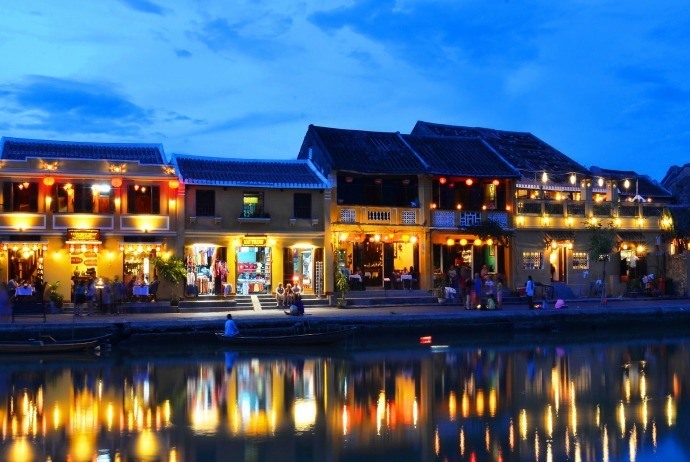 Hoi An has romantic and quiet beauty with quiet streets, old houses, friendly locals and tasty foods. This deserves to be one of the best places for honeymoon in Vietnam which can make couples’ love sublimated. Additionally, you two could also immerse your own in the fresh blue water of the beautiful Cua Dai (Cửa Đại) Beach. It is said that the best time to visit Hoi An is the full moon day. This time, electronic lights will be turned off and lanterns will be burn on. Indeed, Hoi An is a perfect destination for cultural, historical romantic getaway. Walking on the old heritage town of Hoi An is really a unique experience because you will find almost no pollution and traffic out there. Here are some of the best things to do in Hoi An on your vacation of honeymoon in Vietnam! One of the most impressive things when it comes to Hoi An travel is its street food. Mingle with local people whilst trying the delicious and exotic street food in the old town of Hoi An. 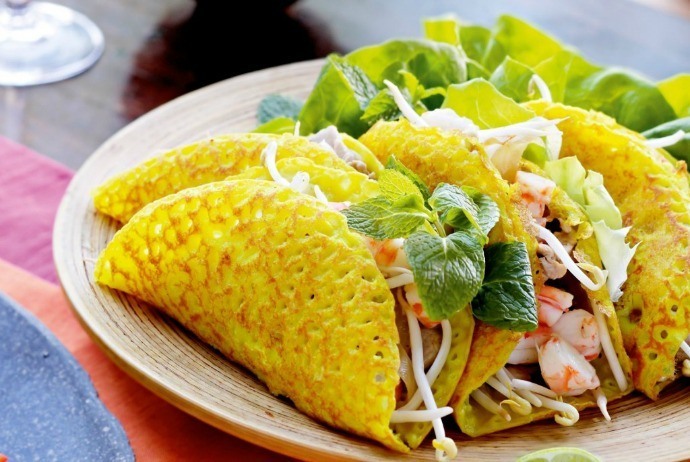 With a variety of snacks ready for your couple to savor at affordable prices, Hoi An never fails at satisfying tourists’ taste. The excitement of finding and tasting unfamiliar food is addictive that it will tempt you to try it over again. In Hoi An, there are a good number of restaurants standing by the river. Having a dinner there might be a little bit expensive but the view is really worthwhile. Exploring the old town of Hoi An, one of romantic UNESCO heritage sites today is a good idea to make your honeymoon in Vietnam more memorable. Walk by the serene street and watch sailing boats passing and docking by the river. Then, at night, you can be amazed at the hundreds of lanterns hanging beautifully along streets carving out a romantic moment for your couple to remember. Most accommodation in Hoi An is warm and simply but some of them feature with the finest river views of the old town. You should not miss admire the exhibits of galleries as well as antiques stores which used to be houses of Chinese and Japanese merchants in the past. When visiting Hoi An, Fujian Assembly Hall is a destination you should at least visit once. With lots of delicate plants and trees, being inside this place will make you feel relax after long hours of wandering the town. It has beautiful animal sculptures displays on the exquisite ponds. Also, do not forget to take a walk to the Japanese Covered Bridge which is one of the most well-known symbols of Hoi An. A honeymoon in Vietnam cannot be perfect without a romantic dinner on a cruise to contemplate sunset. This is absolutely one of most interesting things to do in Hoi An. Experience the majestic views of Hoai (Hoài) River and Thu Bon (Thu Bồn) River when the cruise sails along tranquil rivers. Also, do not skip enjoying savory dishes on your cruise whilst watching the sun goes down and local fishermen returning ashore. With fresh air, Hoi An is a peaceful small but romantic town for honeymooners. It is a must go destination in Asia. Vietnam is a beautiful country supplying an excellent escape for newlyweds because of its unspoiled landscape and quiet nature. For couples, planning on a memorable honeymoon in Vietnam, one of the most recommended places is Da Nang, the third largest city in Vietnam. Normally, visiting Hoi An means that travelers will go a common strip: Hue – Hoi An – Da Nang; nevertheless, if you two do not want to extend your time on the road, you could shorten it by visiting just Hoi An and Danang. Two of you will be surprised at the lively beauty of green city with various tourist destinations, such as Ba Na (Bà Nà) Hill, Han (Hàn) River, Cham Museum, etc. Ba Na Hill is a fascinating place that was established by French colonists in 1919. Being best known as a hill resort and station, situated in Truong Son Mountains, right on the west side of the city of Danang, Ba Na Hill could give tourists an outstanding experience of grandeur of nature, peace, clean air, and its prominent feature, the longest single track cable car all over the world. Many tourists, particularly newlyweds, choose it as a dreaming destination for their honeymoon in Vietnam. Da Nang, a port city can offer more than stunning views of the expansive Han River; it is also a perfect travel destination in the Son Tra peninsula, greatly filled with spectacular beaches as well as breathtaking views of landscapes. In regard to Son Tra(Sơn Trà) peninsula, this is an incredible strip of land acting as a barricade protecting the city of Danang from violent cyclones of the sea. This peninsula is well-known for its strange plants and unique fauna attracting a large number of tourists worldwide. Honeymooners who prefer adventure if going to the Peninsula will definitely have fascinating experience. This peninsula has a tall mountain on which guests could climb and absorb the whole view of Da Nang City, Mount Chua (Chúa) and the renowned Marble Mountains. Tourists could also head over to Stone Stream (Suối Đá) lying by side of the bottom of the mountain. Stone Stream is a sandy, white surface hugging around the peninsula gives tourists a majestic feel that is perfect for newlyweds to swim and relax. However, if your couple does not enjoy anything laced with glam and glitz, then spending a quiet night or two down on the water enjoying the nightlife in Danang is what you should opt for. 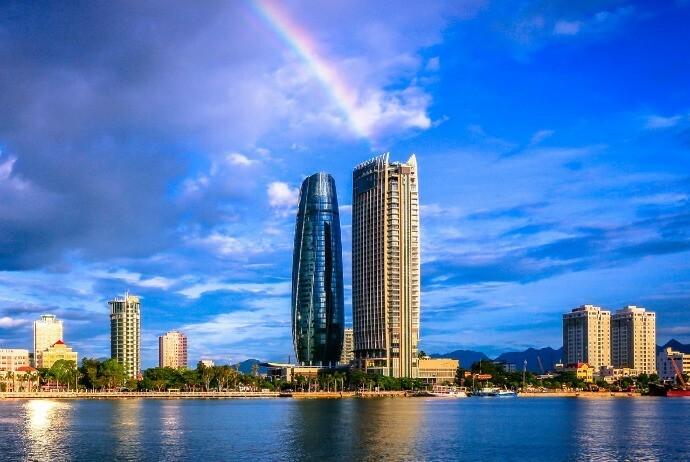 Take a stroll along the Dragon Bridge or romantic Han River Bridge, two of the exclusive manmade marvels of Danang. Nevertheless, Dragon Bridge, the main attraction around this area, which is named exclusively for the gold dragon on the bridge, breathes fire every Saturday and Sunday nights at 9 pm. Among the coral reefs in crystal blue waters, cooling off if your private plunge pool, hiking nature trails, indulging in great spa treatments, or just simply relaxing on white sandy beach and admiring the unspoiled sea and mountain views. Experience memorable nights at one of top-end resorts in Nha Trang or the hotel of your choice (depend on your budget). Indeed, Nha Trang offers a lot to keep visitors occupied, from historic sites, scuba diving, to hopping boat trips, mud baths. Yet, the major attraction for most tourists is to lounge around on the deckchairs at beachfront bars and drinking cocktails in their comfort. Being situated on the Lam Vien (Lâm Viên) highland, in Lam Dong (Lâm Đồng) Province, to the southern area of Vietnam, Da Lat, one of the best places for honeymoon in Vietnam, has never failed in impressing couples. You will never feel bored here, despite the city is quiet. 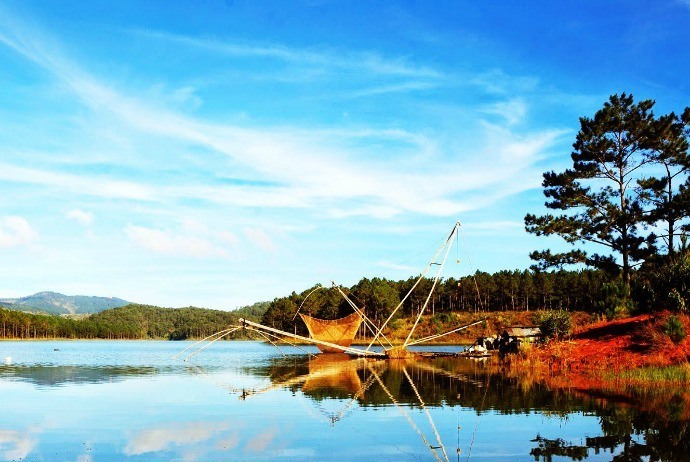 In the big day of your whole life, you and your special life partner can enjoy Dalat in different ways, be it admiring the landscape associated with loyal and faithful love, sipping morning coffee at the dreamy Ho Xuan Huong (Hồ Xuân Hương) lake side, walking hand in hand on the quiet streets of Dalat when the night falls down. All of these will make your love more passionate. Annually, in early October, hotels in Dalat launch promotional package for couples going on their honeymoon. Da Lat is also called as “Le Petit Paris”, which offers couples a luxury retreat from the hustle and bustle of busy cities. In Dalat, you could play golf on one of the finest golf courses in Indochina, visit sacred temples, and enjoy the cool and romantic atmosphere ideally for honeymoon with delightfully hokey tourist sites. Da Lat is mercifully cool all year round, so there is no need for using air-conditioning. 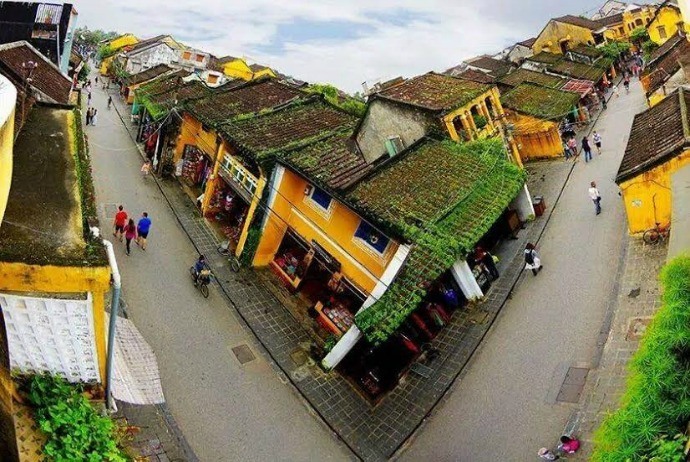 This town is a unique combination of European alpine resort and pastoral hillside Vietnam. Both around and in the town, there are relics of colonial mansions scattering and some serene pagodas in a lovely setting of nature, which all prove that you have just escaped from the big cities of the country for real. There are some ethnic minorities, like the Koho and the Lat (Lát), living in and around those picturesque hills surrounding the town and you could visit a few of rural villages when joining in local tours. Dalat is considered as a top destination for Vietnamese couples honeymooning or getting married. If the lunar astrological signs are good, it is usual to see 10 or even more wedding parties in just one day. Many of local scenic spots, such as Lake of Sighs and Valley of Love, pander to those giddy couples. Dubbed the resort capital, it does not matter how your budget is, there are always suitable options for you to choose a resort to experience your real honeymoon in Mui Ne. Sometimes, Mui Ne is called as the “resort capital of Vietnam” and it is an ideal paradise for couples to enjoy the most memorable honeymoon in Vietnam. Actually, Mui Ne may be among the best windsurfing honeymoon destinations throughout of Asia. Especially, it is not too crowded, so you and your spouse will be able to enjoy your private. There are approximately 12 windsurfing centers in this destination that you could opt for. 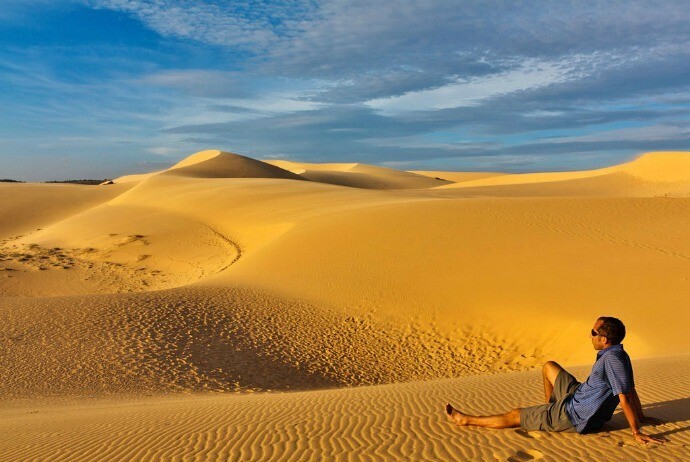 Other interesting activities and attractions in Mui Ne could be the Red and White Sand Dunes, Fairy Spring, mini-golf, and the Mui Ne harbor. Hollow beach, sunny days, and transparent water all year round are the most interesting features of Mui Ne, making it a common tourist attraction in Vietnam. Opt for the Full Moon Village in Mui Ne as a hotel for your honeymoon in Vietnam. This site offers accommodations with villa-style. Each villa features with a mini bar, a fully equipped kitchen, Jacuzzi, king sized bed and fast WIFI. As a whole, the resort supplies room service, a bar and pool, personal beach, arrangements, water sport activities, BBQ facilities, and a free shuttle to Mui Ne. Rom Island (Hòn Ròm) is an ideal destination for couples to enjoy their honeymoon tours. Nature tends to favor Phan Thiet – Mui Ne (Phan Thiết – Mũi Né) a channel with endless sand hills and rows of coconuts swaying on sound of waves. In rare moment, there couples could together keep on romantic feeling of love. Maybe, the most impressive thing when you visit Mui Ne is to contemplate rows of coconut along an arced-shape coast. Immeasurably high trees toward coast draw a beautiful image as if they express their strong vitality over time and storms. Having crowded fishing ports with rich fish resources, Mui Ne also own pristine beaches, fresh natural environment like Bai Dai (Bãi Dài), Bai Truoc (Bãi Trước), Bai Sau (Bãi Sau), and spectacular landscapes. In the northern area of Mui Ne, Doi Duong beach spreads tens of kilometers with white sandy beaches towards the sea and steeps into clear blue water. To the west of Doi Duong (Đồi Dương) Beach, you will discover Elysium Hill which has particularly natural beauty. The colors of land mixed with blue seawater create a harmonious nuance as dream. Tourists could relax on sundecks, go fishing, play golf, ski sands, burn campfire, and so on. Going fishing is another suggestion for couples to enjoy their honeymoon in Mui Ne. what could be more wonderful than you two enjoying fishes caught by your own hands and seeing stunning Nature? If you want to spend your honeymoon in such a private space to avoid the daily noise, Phu Quoc is your choice. Also known as Pearl Island, Phu Quoc is considered as the largest island of Vietnam. You could visit Phu Quoc by plane or boat. In this island, many hotels have car free shuttle both from and back the airport. It is very convenient for tourists to commute. Nevertheless, similar to any other tourist destination, you had better book a hotel soon to avoid being passively in case hotels are run out of rooms or the prices are too high. Phu Quoc, a peaceful tropical heaven, floats within the warm turquoise water in Gulf of Thailand, about 50 km from the Vietnamese mainland and taking a 50-minute flight from Saigon. 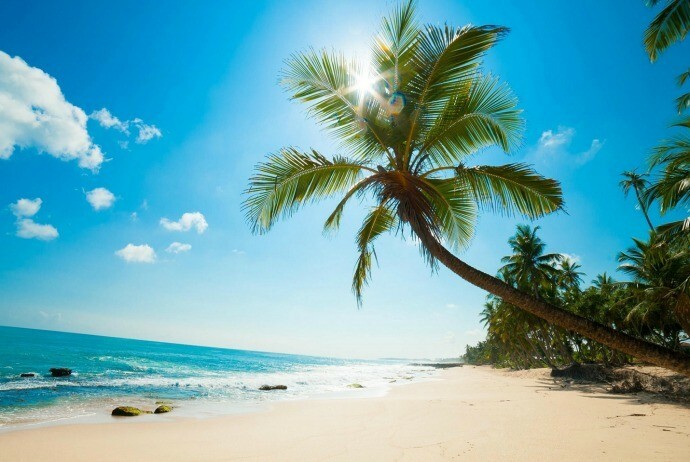 As its name, Phu Quoc beach brings Vietnamese and international tourists an impression of different stunning beach like Gach Dau (Gạch Dầu), Truong (Trường) Beach, or Star Beach (Bãi Sao), and so on. You should also enjoy the great views of scenic sites like Suoi Tranh (Suối Tranh), Suoi Ba Dan (Suối Đá Bàn), etc. 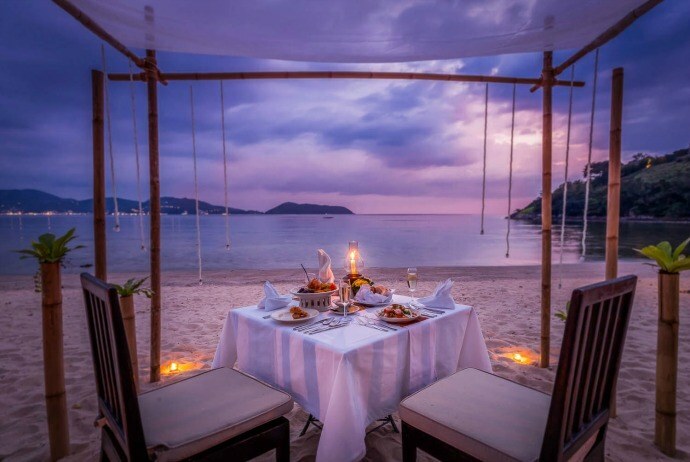 In one day, tourists could experience Vietnam’s culture at local markets in the morning, relax on a remote stunning white sandy beach of Phu Quoc in the afternoon, enjoy a tasty dinner at one of restaurants and enjoy high quality accommodation at a hotel or resort on this superb island. Mostly, Phu Quoc Island is dedicated to National Park as well as protected marine environment, giving a memorable experience with lots of exciting activities along with places to keep your couple entertained during your holiday. The last but not least attractive in regard to best places for honeymoon in Vietnam is Con Dao. 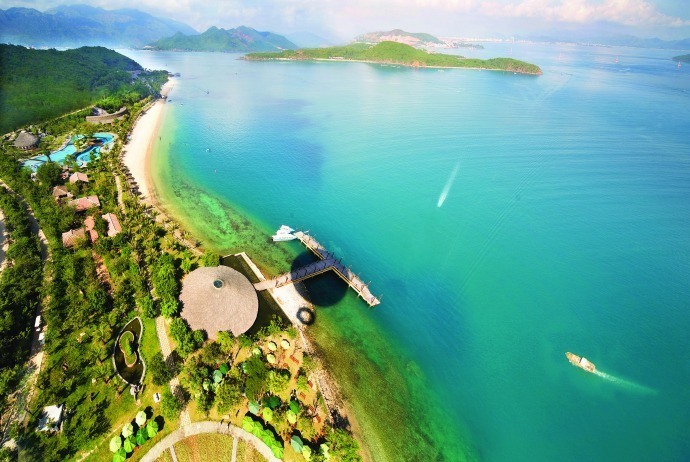 Selected as among the most mysterious islands worldwide, Con Dao becomes more attractive to travelers, particularly newlyweds on their honeymoons, by its peaceful scenery and pristine beaches. 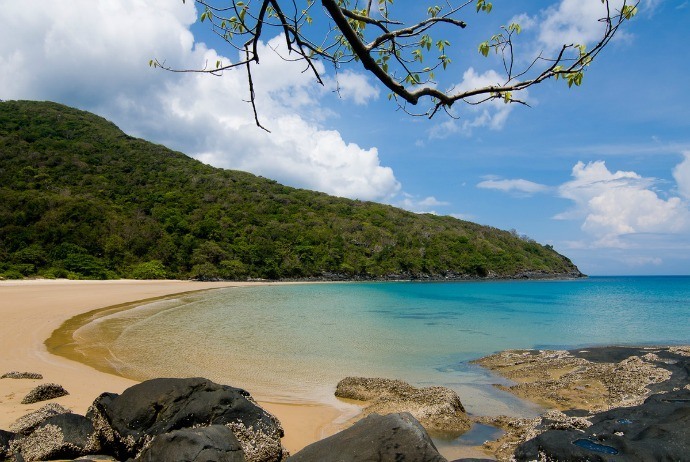 Located at the southern part of Vietnam, over years, people get used to calling Con Dao as “Hell on Earth”. Nonetheless, Con Dao is also an immense of blue sea and sky listed top destination of the famous tourism magazine. In fact, Con Dao is an off-shore archipelago of the Ba Ria – Vung Tau (Bà Rịa – Vũng Tàu) province. Also known as Con Son (Côn Sơn) or Con Lon (Côn Lôn), Con Dao is the largest island in the area of total 16 islands. The most interesting thing as discovering Con Dao is to steep yourself in the boundless ocean world, contemplate multi-colored coral reef stretching thousands of kilometers and view dolphins playing with the water. When the tide gets down, a wonderful picture of shellfish hugging rocks will appear in front of your eyes. You could wander in Ong Dung (Ông Đụng) forest, view the tropical rainforest with rare 100-year-old wood species and listen to chirp on the tree branches, all create a natural vivid picture. Along the coastal road toward Ben Dam fish port, you could gaze at romantic glow of dawn at Ca Map (Cá Mập) point of contemplate the sun setting on Love Mountain. If you have enough time, go to Bay Canh (Bảy Cạnh) to take part in activities for protecting the sea creatures like taking care of turtles giving birth to eggs and letting small turtles out to the sea, visit mangrove forest or conquer a lighthouse of 350 meters. Certainly, tourists will be strongly attracted by the beauty of Dam Trau beach with limitless white sand under bulky and motionless rocks. Remotely, on the slope of large rock, there are two huge huddling slabs of stone. Here, tourists will be able to eradicate life’s sorrow when contemplating deliberately immense ocean and green mountains. Besides, the peaceful feeling you will experience upon sitting on cool rock mass, observing waves towards off-shore, listening to the whispering wind on many tree branches is really unforgettable memories. Particularly, Dam Trau beach is also great for honeymooners as it is not crowded as other beaches. The whole island Con Dao is covered by green trees’ parasol of primeval forest. Annually, hundreds of tortoises go to Hon Bay Canh to give birth eggs and this is the place which is the home to the largest number of tortoises in Vietnam. 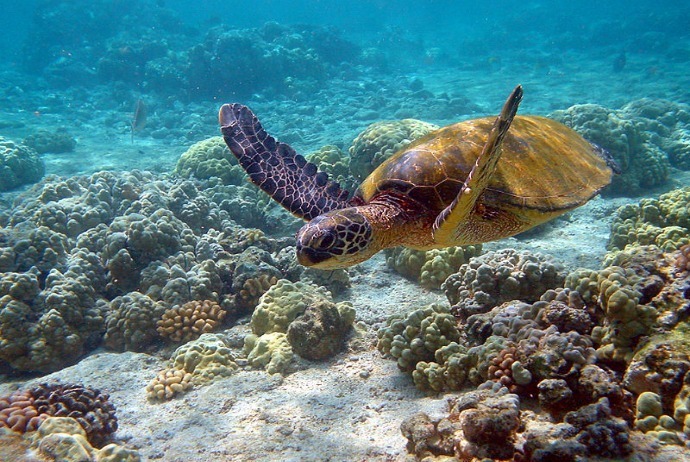 Visitors could comfortably swim, play with their family members on gentle sands or observe tortoises laying eggs. Diving coral reef attractive amusement to almost tourists as nowhere in Vietnam owns various coral reef as Hon Bay Canh as plate-shape coral, branch-shape coral, table-shape coral and so on. Hon Bay Canh is also the place for taking great photos on your Con Dao honeymoon tour. 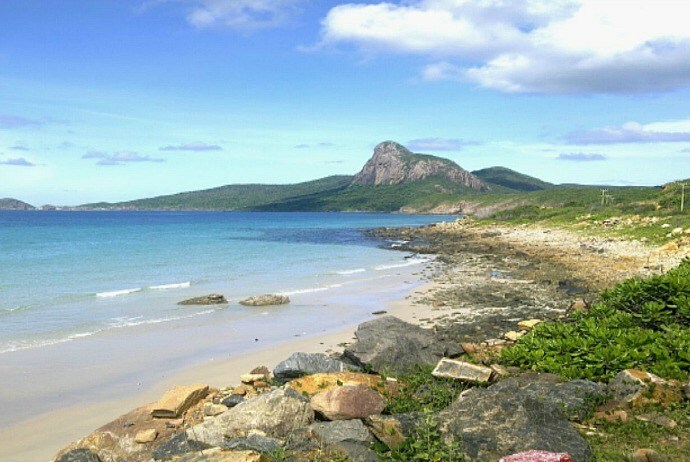 Ca Map point or Nhat Beach is reckoned as one of the nicest beaches at Con Dao. Located nearly the center of Con Son town and major roads with ideal position, this beach will definitely make you setting your foot in its surprise. Bai Nhat is rather far from the town center, about 6km towards Ben Dam. Interestingly, here, the landscape is pristine, and unaffected by human beings. The beach combined with sand, rock and small waves make harmonious and vivid picture. Many couples choose Nhat Beach to take their wedding photos and record the memorable moments of their whole lives. Some enjoy Nhat Beach during their honeymoon tour in Con Dao. In reality, the most special thing about Nhat Beach is that it appears just some hours each day because in rest time, it is submerged in sea water. 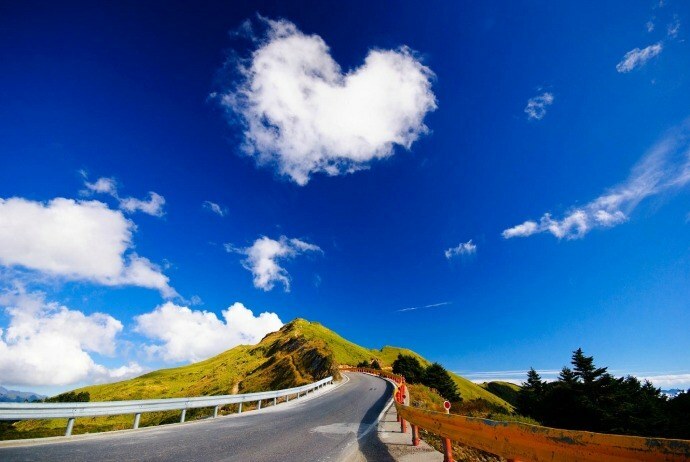 Standing on the Ca Map point, tourists could contemplate spectacular landscape and beautiful scene of Love Mountain. Not far from Nhat Beach, Love Mountain is a destination for newlyweds having romantic honeymoon together. This mountain is like a photo of a hugging couple, so people usually call it as Love Mountain. In the peak of wedding season, a lot of couples want to keep their sweet moments at this Love Mountain by signing up a honeymoon tour or a romantic anniversary of wedding. 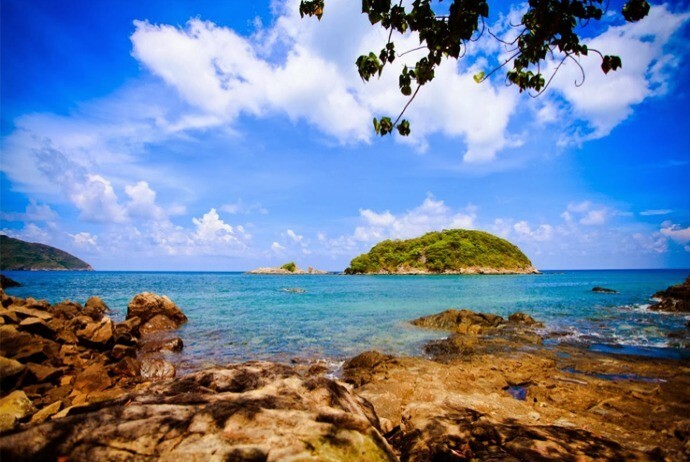 Going to Con Dao at any season, tourists can still feel pristine beauty of island referred to as “Paradise of Sea”. In simple words, Con Dao, one of the most wonderful islands in Vietnam, is an ideal place for people who want to discover the pristine beauty, to survey Vietnam’s history, to experience memorable moments with white sand, blue sea and primeval forests, and particularly for couples, for newlyweds, Con Dao is a great place for celebrating their honeymoon in Vietnam. To conclude, as a tropical climate southeast country, Vietnam has many advantages of tourism. 10 best places for honeymoon in Vietnam introduced above are the fantastic, outstanding and amazing spots but not all of the tourism of Vietnam. Just visit and discover the beauty of this small but friendly country, and enjoy happy moments with your significant other.